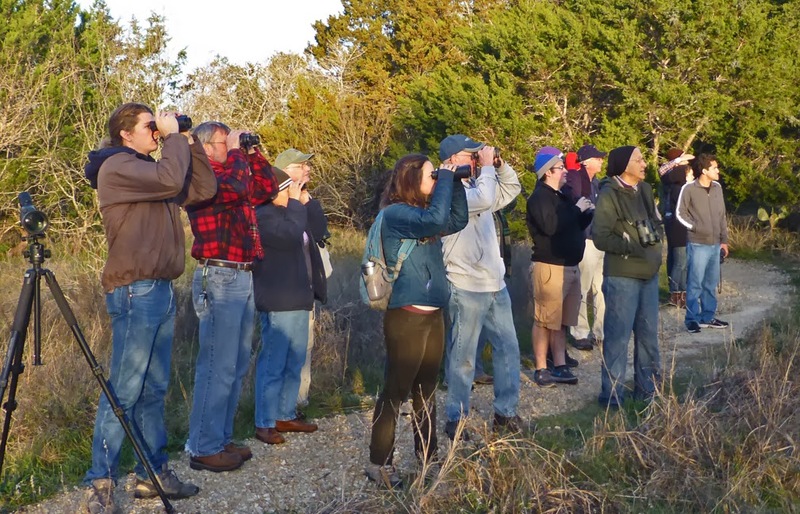 It was a chilly January 4th when more than a dozen of us gathered for the monthly birding walk with Stephen Ramirez at Ringtail Ridge off Old Ranch Road 12. He was joined by his friends and experienced birders, Jonny Scalise and Sasha Munters who also fielded questions from the group. 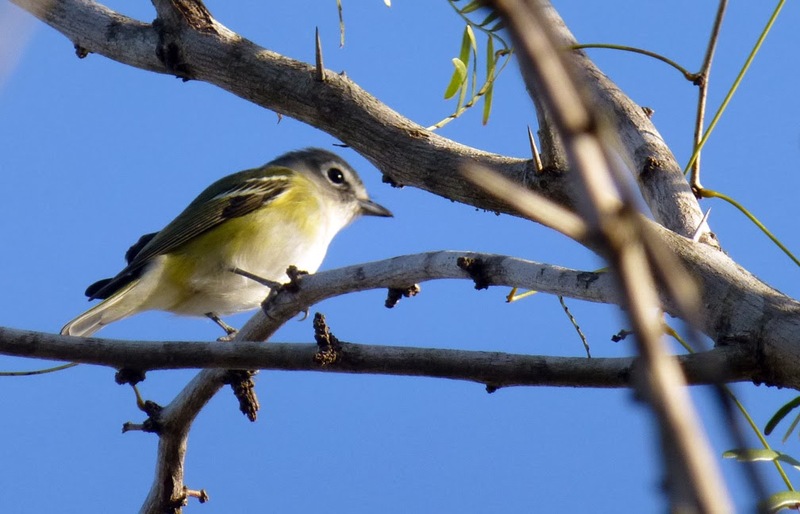 The hour-and-a-half hike yielded sightings of 19 species of birds including a very unafraid and curious blue-headed vireo. The 45 acre natural area was flooded during the Halloween rains and evidence of gravel washouts remain. There are positive aspects to the standing water in all three of the ponds that once served the former slaughterhouse grounds. The abundance of standing water means more wildlife is gathering at the natural area. Fortunately, it is still too cold for mosquitos. The monthly hikes range from the San Marcos River front to Spring Lake to the five mostly, dry natural areas around San Marcos. The hikes, although early on the first Saturday morning of the month, are free the participants range from young families to retirees. Everyone enjoys getting outdoors and observing something new and different. Contact [email protected] to be included in the notification list. Very shortly we will be in the migration season and the birding walk sighting lists should grow.